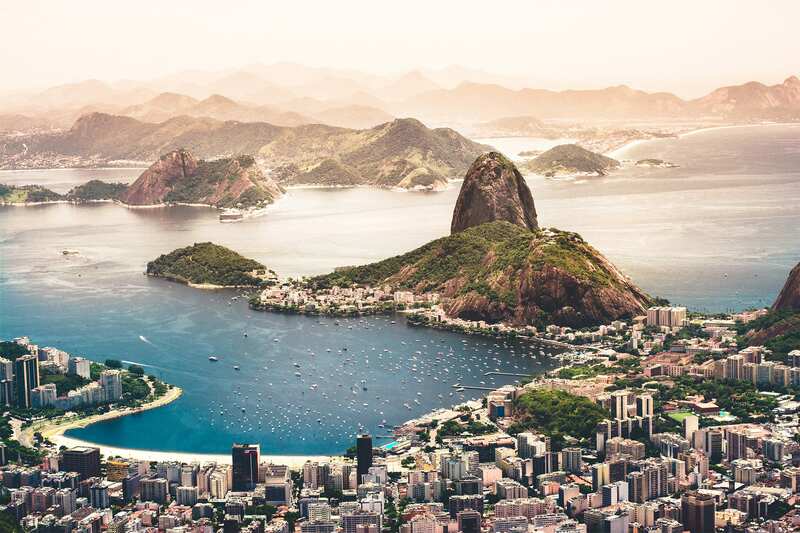 The inhabitants of Rio de Janeiro call it the “Marvelous City.” Located on the Bay of Guanabara, Rio has a mountainous landscape that contrasts with an intensely blue sea. Here the skyscrapers, colonial buildings and narrow streets meld in perfect harmony.Although the city is a reflection of the social inequalities of the country, Rio de Janeiro has great style and is internationally renowned for its Christ Corcovado, Pão de Açúcar, Ipanema and Copacabana beaches, Carnivals and the warm and lively inhabitants of the city, the cariocas. Iguazu River wriggles in a western direction for 600 km, picking up along its way the waters of dozens of tributaries. The river widen sand flows majestically through forests before descending into the various levels of the famous Iguaçu waterfalls. 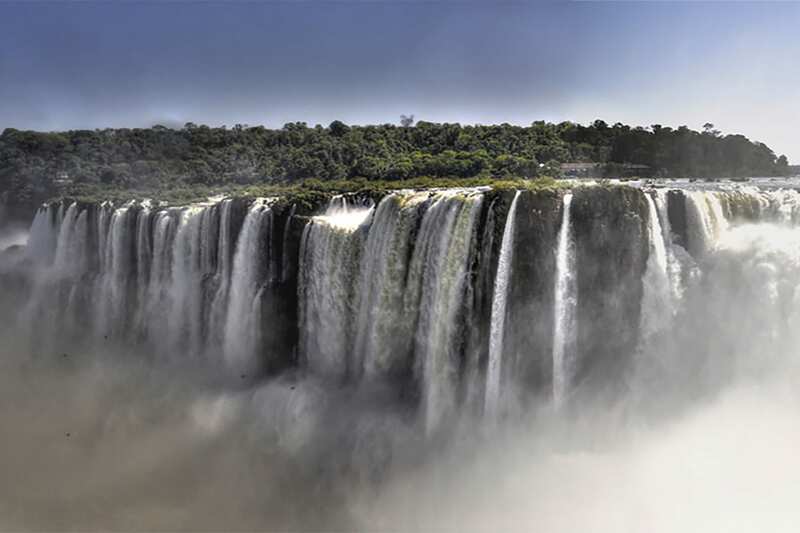 They consist of 275waterfalls that occupy an area more than 3 km wide and 80 m tall.They are wider than Victoria Falls, taller than Niagara Falls and more beautiful than both. There are neither words nor photographs that can properly describe them, you simply have to see and hear them for yourself. 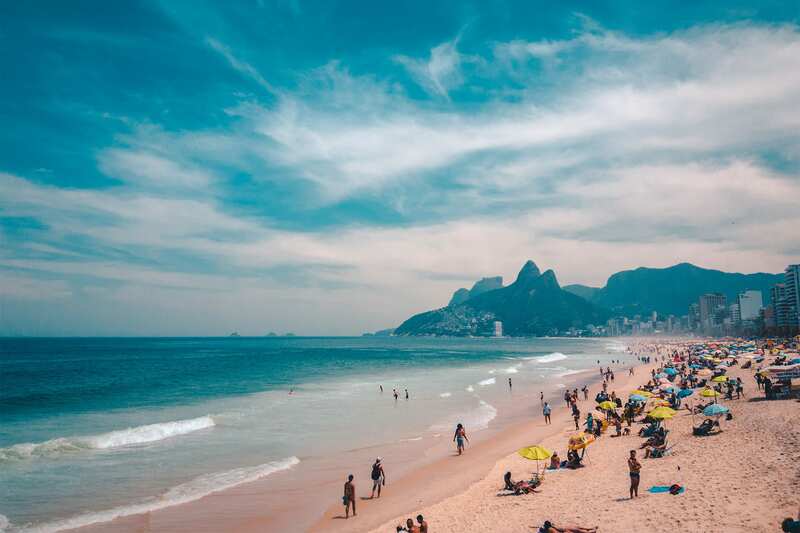 Transfer from Rio de Janeiro airport to hotel in Copacabana.Copacabana is a noble neighborhood located in the South of Rio de Janeiro, Brazil.It is considered one of the most famous and prestigious neighborhoods in Brazil and one of the best known in the world. It is also called Princess of the Sea andHeart of the South and is surrounded by the neighborhoods of Lagoa, Ipanema,Botafogo, Leme and Humaitá. In terms of population, it is the most populated in the South Zone of Rio, with more than 140,000 inhabitants in 2010. Night at the Windsor California Hotel | Superior Room. Vida Carioca (by subway) with lunch - 6h: On this tour we contemplate the lifestyle of the cariocas. We start the tour with a walk to the nearest station where we will take the subway and travel for 15 minutes. 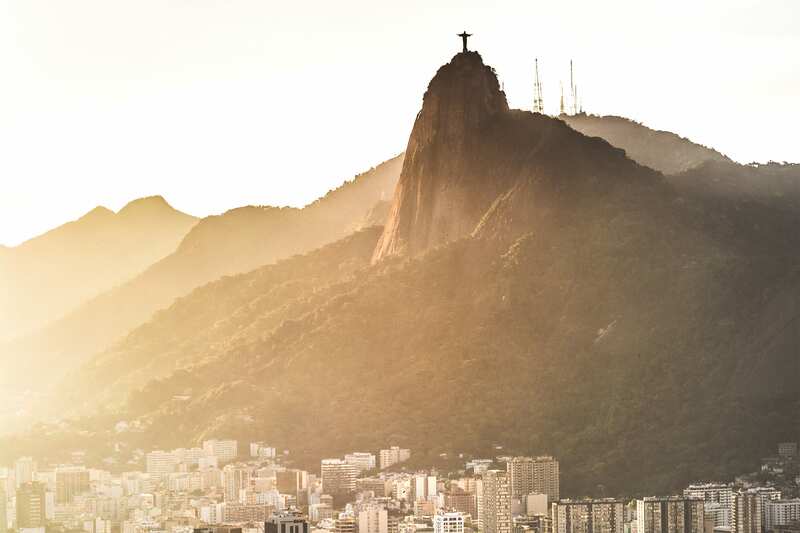 Walking, we’ll visit the historic and commercial center of Rio, highlighting the Metropolitan Cathedral of São Sebastião and the Saara neighborhood. 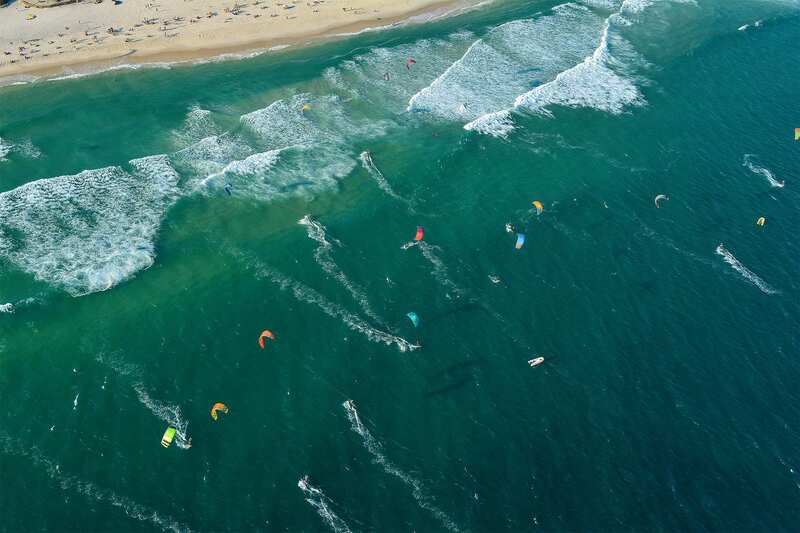 We will have the opportunity to see the customs, commerce and joy of the Carioca people. We will stop to try a delicious natural juice made with tropical fruits and at the end we will have lunch (included)at Confeitaria Colombo, which is one of the oldest and most historic restaurants inBrazil. We return to the subway station and go to the nearest stop to the hotel from where we will walk. Carnival Experience 4h: Nothing more representative for Brazil than theCarnival in Rio de Janeiro; big event that takes place every year bringing people from all over the world. The colors, the music and costumes parade before our eyes spreading the joy and warmth of the Brazilian people. On this experience we’ll make a guided visit to the Cidade do Samba, a special place that concentrates many sheds where samba schools make their allegories. We will know the Acadêmicos da Grande Rio, one of the major samba schools of the City.We will learn a bit about the history of samba and carnival parades. We will also wear costumes and take pictures, and those who want it can still enjoy a welcome caipirinha! We’ll go to the Corcovado. After reaching the mountain base we'll go up by train through the beautiful and lush nature of the Tijuca Forest. 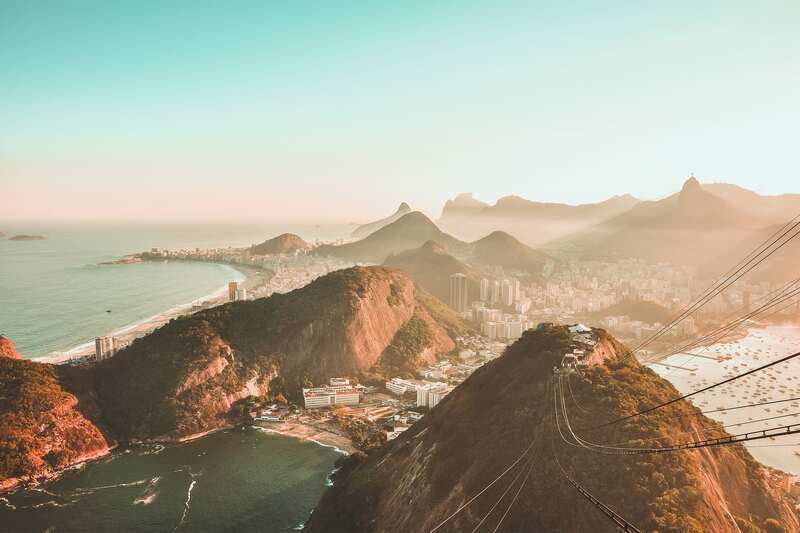 The Corcovado is 710 meters high and is one of the most famous hills in Brazil and the world for its Cristo Redentor statue, 38 meters high and one of the seven wonders of the MODERN world. Here we''ll have a fantastic panoramic view of the city. 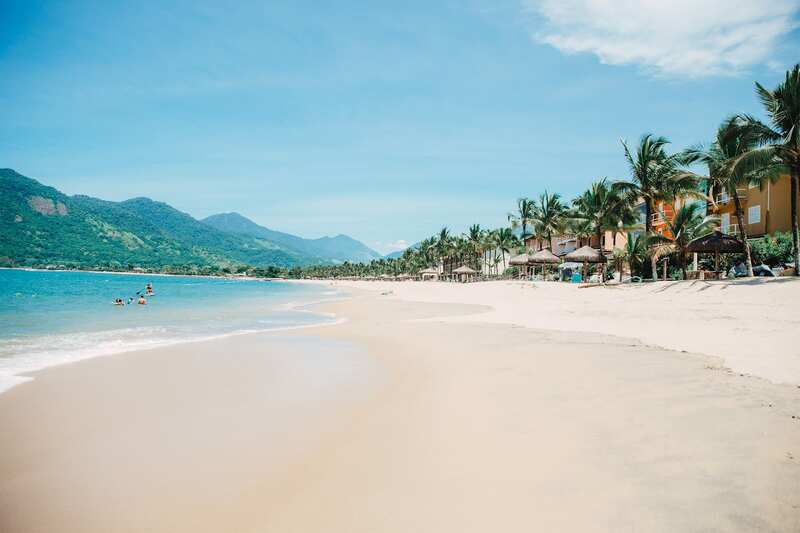 Then we go back to the train to return to the base and right after we take a panoramic tour along Rio’s South beaches until arriving at the hotel. Walking Pão de Açúcar - 4h - This is the easiest and most famous track in Rio de Janeiro. It’s safe and impossible to get lost. We start the tour going by car toPraia Vermelha in Urca neighborhood, which is the beach where the cable car station to the Sugar Loaf is located. From there, walking, we'll take the track PistaClaudio Coutinho also known as Caminho Bem Te Vi, which is 1250 meters. 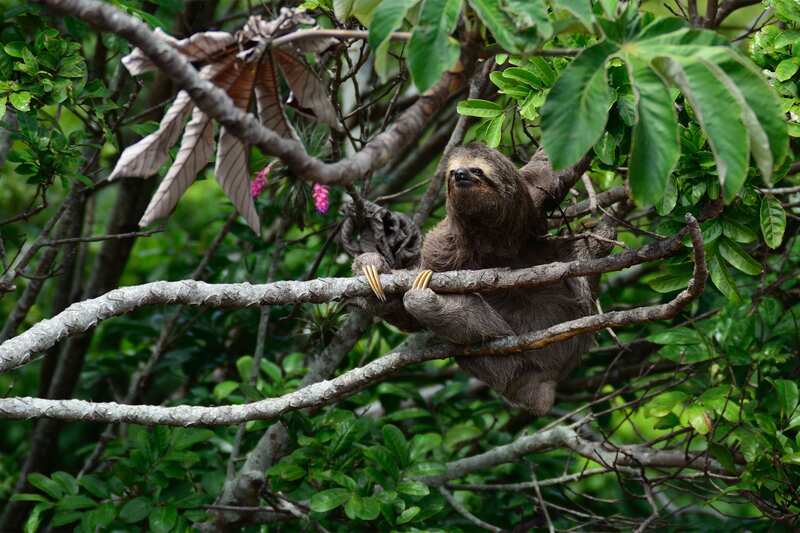 The hike takes 45 minutes at most going up slowly; it is great to enjoy the woods, its sounds and animals like marmosets and numerous birds. At the end of it, we'll take the cable car to the Sugar Loaf. The descent will also be done via cable car and finally we return to the vehicle towards the hotel. Transfer from hotel in Copacabana to Rio de Janeiro airport. Transfer from Iguazu Falls airport to Brazilian Falls. We leave the hotel by car to theNational Park’s visitor center where we’ll find our bikes, safety helmets and a bottle of water. Accompanied by an instructor and a guide we will pedal about10km to the beginning of the trails of the Brazilian falls. We park the bicycles in front of the first viewpoint and start the trail on foot, due to the stairs, ascents and descents that will provide us with beautiful landscapes and different views of the falls. 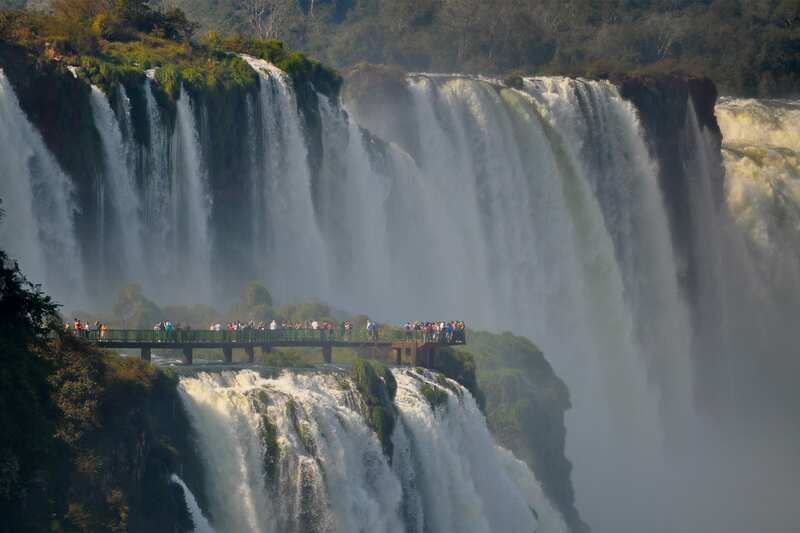 The total length of the runway is 1200 meters from where we get to see the 275 waterfalls that make up the Iguazu Falls; the most important on the Brazilian side are four: Floriano, Deodoro da Fonseca, Benjamin Constant and Salto Uniaoor Devil's Throat. At the end of the trail we will have the possibility to return to the visitor center by bike or if we are tired we can do it on the park bus. Night at the La Cantera Jungle Lodge, Standard Room. After breakfast we visit the Iguaçu Falls on the Argentinean side. 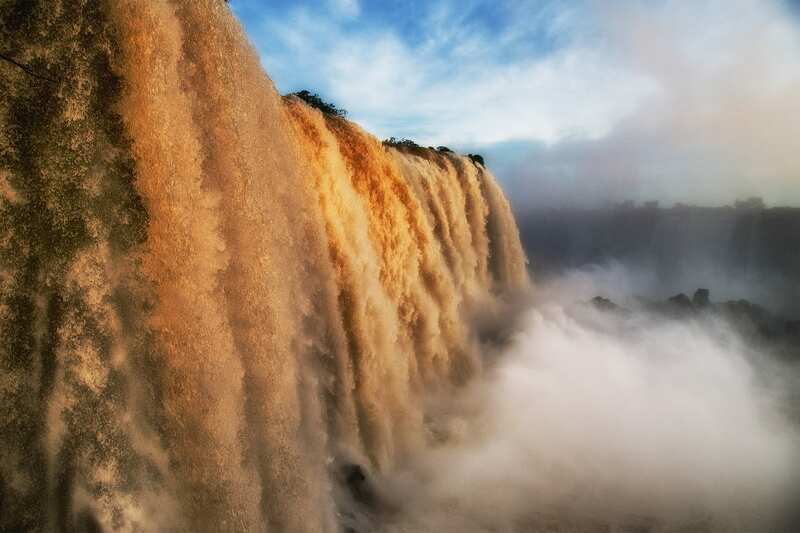 Recognized among the seven natural wonders of the world, the Iguazu Falls are the most visited natural attraction in the province of Misiones and one of the most impressive of Argentina and the world. Walking paths with different gateways offered by the Park may have a different view of the falls’ amazing scenery. The lower circuit allows more contact with nature, while the upper circuit gives an overview of all the jumps and the delta islands, and the impressive view of the Garganta del Diablo, where we feel the fury of water falling in many horseshoe shaped falls. 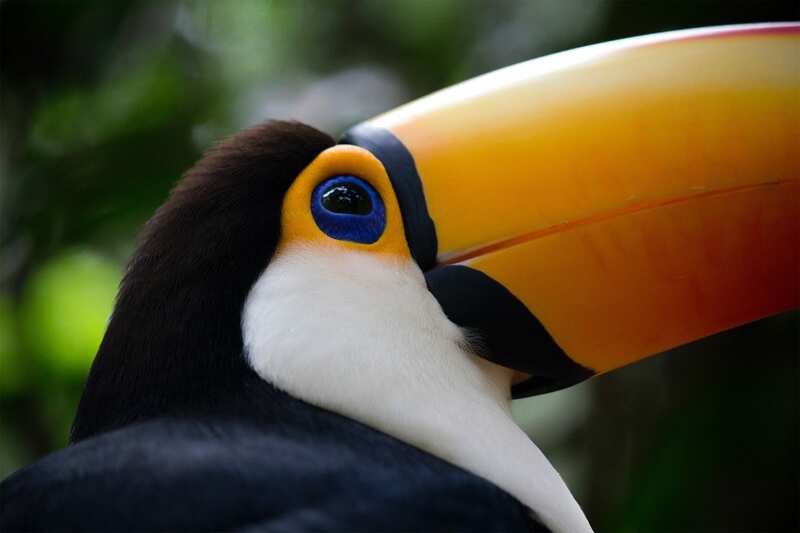 Still in the Argentinean side, we’ll combine the essence of the Iguazu NationalPark: jungle and falls in a single ride. We enter the jungle through the Yacaratiá narrow track in units designed for this particular environment, where the natural and cultural richness will be presented along the way. This 5km car ride ends at the forest base Puerto Macuco. Going 100m down we arrive at the dock where we will meet the boats that lead us 6km through the canyon of the lower Iguaçu river towards the waterfalls while enjoying the rapids. 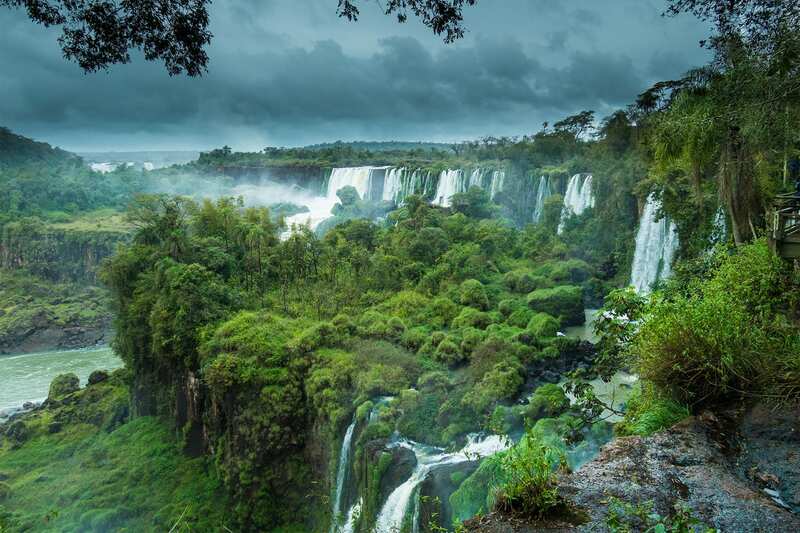 We’ll go to the base of Salto Tres Mosqueteros to see the set of Brazilian and Argentine falls, with the Garganta do Diabo crowning the canyon’s view. Then we will reach the peak of emotion when facing the incomparable Salto San Martín, second on the scale and the largest approachable jump by boat. Finally, we land at the dock located in front of SanMartin Island, where we will return to the runway system, through the Lower Circuit. Transfer from hotel in Puerto Iguazu to Puerto Iguazú or Foz do Iguazu airport.